gold Maltese cross with a white-enameled border; the center medallion, ringed in blue enamel, features a portrait of St. Henry. Suspended from a royal crown. The Military Order of St. Henry (Militär-St. Heinrichs-Orden) was a military order of the Kingdom of Saxony, a member state of the German Empire. The order was the oldest military order of the states of the German Empire. It was founded on October 7, 1736 by Augustus III, King of Poland and Elector of Saxony. The order underwent several more revisions over the course of the 19th and early 20th centuries. It became obsolete with the fall of the Saxon monarchy in the wake of Germany's defeat in World War I. The order came in four classes: Grand Cross (Großkreuz), Commander's Cross 1st Class (Kommandeurkreuz I. Klasse), Commander's Cross 2nd Class (Kommandeurkreuz II. Klasse) or sometimes just Commander, and Knight's Cross (Ritterkreuz). Generally, the rank of the recipient determined which grade he would receive - the Grand Cross went to monarchs and the highest field commanders, the Commander 1st Class to senior generals, the Commander 2nd Class to officers major and above (with a few exceptions) and the Knight's Cross to all officers. Again with few exceptions, one was required to have received a lower grade before receiving the next higher grade. 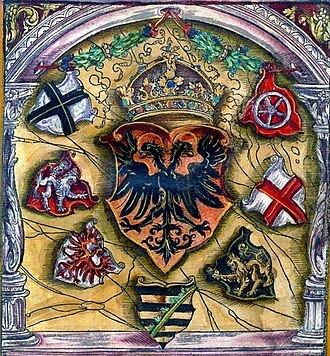 During World War I, there were 12 awards of the Grand Cross, 14 awards of the Commander 1st Class, 153 awards of the Commander 2nd Class, and 2,728 awards of the Knight's Cross As an example of the progression, Rupprecht, Crown Prince of Bavaria, a general and later field marshal, received the Knight's Cross in August 1914, the Commander 2nd Class in June 1915, the Commander 1st Class in January 1917, and the Grand Cross in May 1918. The badge of the order was a gold Maltese cross with white-enameled edges. Around the center medallion was a blue-enameled gold ring bearing on the obverse the words "FRIDR•AUG•D•G•REX•SAX•INSTAURAVIT" and on the reverse the motto "VIRTUTI IN BELLO" ("Bravery in War"). 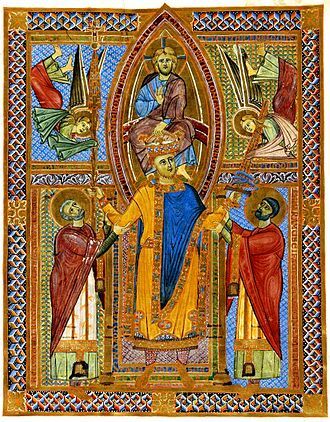 On the obverse, the medallion was yellow-enameled with a painted portrait of St. Henry, the last Saxon Holy Roman Emperor. 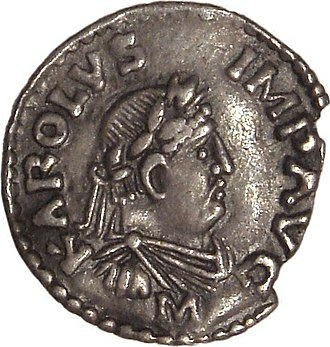 On the reverse, the medallion bore the Saxon coat of arms (alternating horizontal black and gold stripes with a diagonal rue crown). 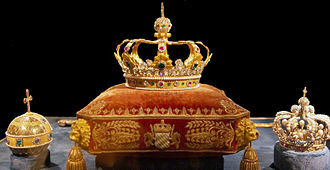 Between the arms of the cross were green-enameled rue crowns, a symbol of Saxony. The badge was suspended from a royal crown. The Grand Cross was larger than the Commander's Cross, and the Commander's Cross was larger than the Knight's Cross. 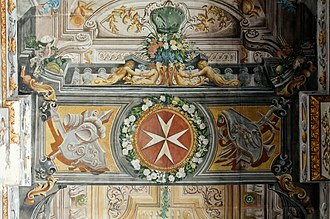 The star of the order, awarded with the Grand Cross and the Commander 1st Class, was a silver eight-pointed star featuring a larger version of the medallion with St. Henry of the obverse of the cross, but with the text of the ring of the reverse. The star was slightly larger for the Grand Cross. The ribbon of the order was light blue with yellow stripes near each edge. 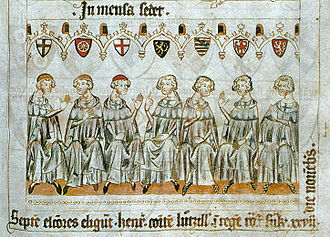 The Knight's Cross was worn as a breast badge on the upper left chest. The Commander's Crosses were worn from the neck, with the breast star of the Commander 1st Class on the lower left chest. The Grand Cross was worn from a sash over the shoulder, with the badge resting on the left hip. Its star was worn as with the Commander 1st Class. On occasion, the Grand Cross badge was worn from the neck and was distinguishable from the Commander's Crosses only by its size. Neal O'Connor, Aviation Awards of Imperial Germany in World War I and the Men Who Earned Them: Volume III - The Aviation Awards of the Kingdom of Saxony (1993). Dr. Kurt-Gerhard Klietmann, Pour le Mérite und Tapferkeitsmedaille (1966). ^ Some awards for actions before November 11, 1918, however, were still processed after the war's end. ^ O'Connor, Aviation Awards, p.18; Klietmann, Pour le Mérite und Tapferkeitsmedaille, p.32. ^ a b O'Connor, pp. 17-18. Erich Friedrich Wilhelm Ludendorff was a German general, the victor of the Battle of Liège and the Battle of Tannenberg. From August 1916, his appointment as Quartermaster general made him the leader of the German war efforts during World War I until his resignation in October 1918, from 1924 to 1928 he represented the German Völkisch Freedom Party in the German Parliament. Consistently pursuing a military line of thought, Ludendorff developed, after the war. In this work, he argued that the physical and moral forces of the nation should be mobilized, according to him. Ludendorff was a recipient of the Grand Cross of the Iron Cross, Ludendorff was born on 9 April 1865 in Kruszewnia near Posen, Province of Posen, Kingdom of Prussia, the third of six children of August Wilhelm Ludendorff. His father was descended from Pomeranian merchants who had achieved the status of Junker, the Prussian epiphet of lower nobility, and he held a commission in the reserve cavalry. 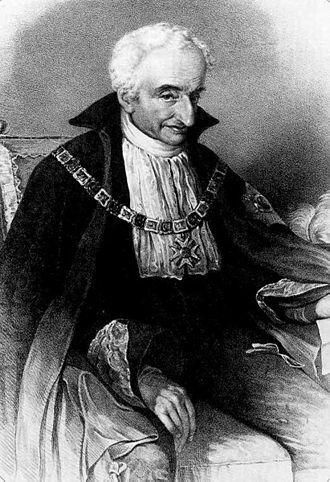 Through Dziembowskis wife Johanna Wilhelmine von Unruh, Erich was a descendant of the Counts of Dönhoff, the Dukes of Legnica and Brzeg. He had a stable and comfortable childhood, growing up on their family farm. Erich received his schooling from his maternal aunt and had a gift for mathematics. He passed the exam for the Cadet School at Plön with distinction. 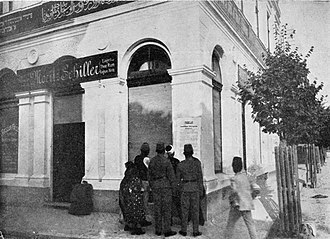 Ludendorffs education continued at the Hauptkadettenschule at Groß-Lichterfelde near Berlin through 1882, the old sinner, as he liked to hear himself called. Married the daughter of a factory owner, Margarethe née Schmidt. They met in a rainstorm when he offered his umbrella and she divorced to marry him, bringing three stepsons and a stepdaughter. Their marriage pleased both families and he was devoted to his stepchildren, in 1885, Ludendorff was commissioned as a subaltern into the 57th Infantry Regiment, at Wesel. His service reports reveal the highest praise, with frequent commendations, in 1893, he entered the War Academy, where the commandant, General Meckel, recommended him to the General Staff, to which he was appointed in 1894. He rose rapidly and was a staff officer at the headquarters of V Corps from 1902 to 1904. 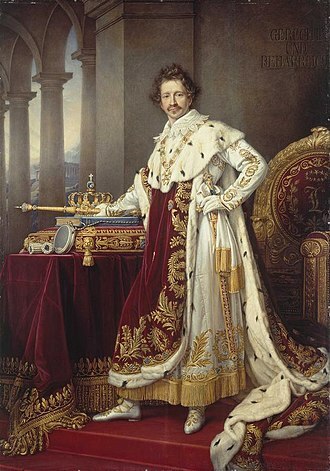 Frederick Augustus III was the last King of Saxony and a member of the House of Wettin. 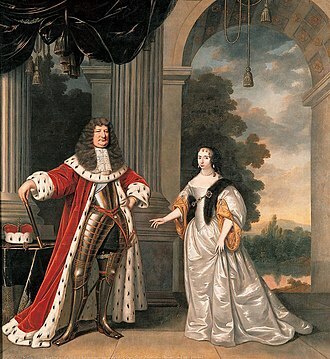 Born in Dresden, Frederick Augustus was the first son of King George and his wife, Frederick Augustus served in the Royal Saxon Army before becoming king, and was promoted to Generalfeldmarschall. Though well-loved by his subjects, he abdicated as king on 13 November 1918. He died in Sibyllenort in Lower Silesia and was buried in Dresden, Frederick Augustus entered the Royal Saxon Army in 1877 as a second lieutenant, despite being only twelve years old. Given his royal status, he advanced rapidly through the ranks and he served initially with the Royal Saxon 1. He was promoted to first lieutenant in 1883, captain in 1887, major in 1889, by 1891, he was commander of the 1st Battalion of Schützen -Regiment Nr.108. He was promoted to colonel on 22 September 1892 and took command of the Schützen -Regiment Nr.108 on the same day, on 20 September 1894, the 29-year-old prince was promoted to Generalmajor and given command of the 1st Royal Saxon Infantry Brigade Nr.45. On 22 May 1898, he was promoted to Generalleutnant and given command of the 1st Royal Saxon Infantry Division Nr.23 and he commanded this division until 26 August 1902, when he took command of the XII Corps. He was promoted to General der Infanterie one month later, on 24 September and he remained in command of the corps until October 1904, when he became king. His military career ended with his accession to the throne. Following his fathers accession, he was in July 1902 appointed à la suite of the German Marine Infantry by Emperor Wilhelm II during a visit to Kiel, Frederick Augustus married Archduchess Luise, Princess of Tuscany, in Vienna on 21 November 1891. They were divorced in 1903 by the decree of the King after she ran away while pregnant with her last child. 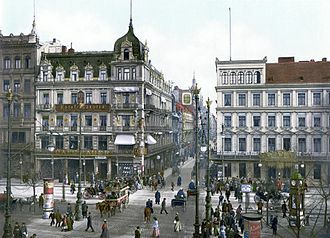 Luises flight from Dresden was due to her father-in-laws threatening to have her interned in Sonnestein Mental Asylum for life and her brother supported her in her wish to escape Saxony. Emperor Franz-Josef of Austria-Hungary did not recognise the divorce and they had seven children, Friedrich August Georg, Crown Prince of Saxony. 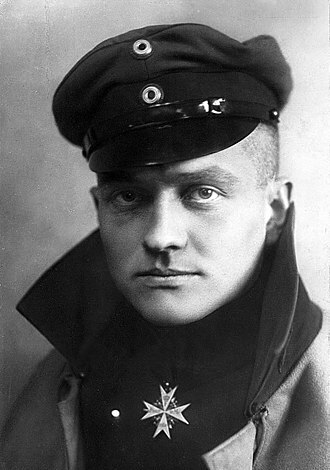 Max Immelmann PLM was the first German World War I flying ace. He was a pioneer in aviation and is often mistakenly credited with the first aerial victory using a synchronized gun. He was the first aviator to win the Pour le Mérite and his name has become attached to a common flying tactic, the Immelmann turn, and remains a byword in aviation. He is credited with 15 aerial victories, Max Immelmann was born on 21 September 1890, in Dresden, to an industrialist father who died when Max was young. In 1905, he was enrolled in the Dresden Cadet School and he joined the Eisenbahnregiment Nr.2 in 1911 as an Ensign, in pursuit of a commission. 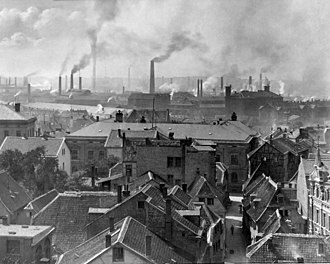 He left the army in March 1912 to study engineering in Dresden. He returned to service on the outbreak of war, as an officer candidate. He was assigned to Eisenbahnregiment Nr,1, but soon transferred to aviation. When World War I started, Immelmann was called to active service and he was initially stationed in northern France. 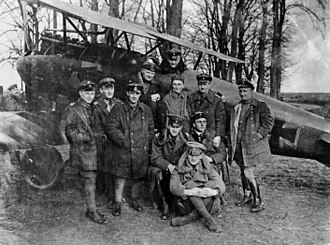 Immelmann served as a pilot with Feldflieger Abteilung 10 from February to April 1915, on several occasions he engaged in combat while flying the L. V. G.
Two-seaters with which his units were equipped, but never with any success, on 3 June 1915, he was shot down by a French pilot but managed to land safely behind German lines. Immelmann was decorated with the Iron Cross, Second Class for preserving his aircraft and it was with the lMG08 machine gun-armed E. 5K/MG production prototype E. 5/15 Eindecker, one of five built, following two unconfirmed ones on July 1 and 4, all before Immelmann. Like a hawk, I dived. and fired my machine gun, for a moment, I believed I would fly right into him. I had fired about 60 shots when my gun jammed and that was awkward, for to clear the jam I needed both hands - I had to fly completely without hands. Lieutenant William Reid fought back valiantly, flying with his left hand, the 450 bullets fired at him took their effect, Reid suffered four wounds in his left arm, and his airplanes engine quit, causing a crash landing. The unarmed Immelmann landed nearby, and approached Reid, they shook hands, and pulled Reid out of the wreckage and rendered first aid. Alexander Adolf August Karl von Linsingen was a German general during World War I. Linsingen joined the Prussian Army in 1868 and rose to Corps Commander in 1909 and he was one of the very few top German generals not to have served on the general staff. 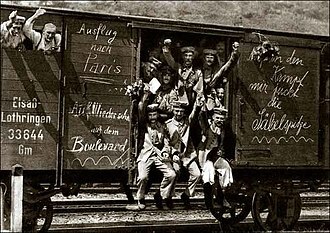 At the beginning of World War I, Linsingen was a Corps commander in the First Battle of the Marne, transferred to the Eastern Front where German and Austrian armies were threatened by a Russian offensive in Galicia, Linsingen took command of South Army. He defeated the Russian armies in the Battle of Stryi in 1915 and he was awarded the Pour le Mérite on 14 May 1915 and the Oakleaves on 3 July 1915. In 1915, he took command of the Army of the Bug and was commander of Heeresgruppe Linsingen. In June 1916, his Army Group faced the Brusilov offensive, after an initial retreat, he checked the Russian advance at the Battle of Kowel. He was promoted to Colonel-General, the second highest rank for a general in the Imperial German Army, in 1917-1918 and especially after the signing of the Treaty of Brest-Litovsk, he led the German advance into the Ukraine. General Erich Georg Anton von Falkenhayn was the Chief of the German General Staff during the First World War from September 1914 until 29 August 1916. He was removed in the summer of 1916 after the failure at the battle of Verdun, the opening of the Allied offensive on the Somme, the Brusilov Offensive. He was given important field commands in Romania and Syria and his reputation as a war leader was attacked in Germany during and after the war, especially by the faction which supported Hindenburg. 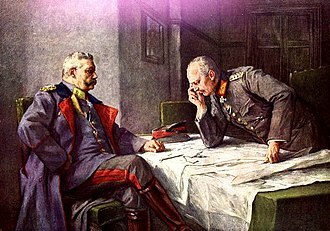 Falkenhayn held that Germany could not win the war by a battle but would have to reach a compromise peace. 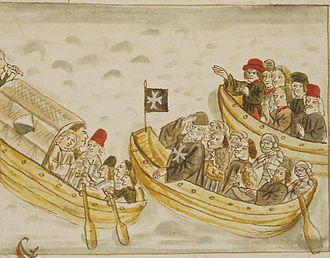 Falkenhayns relations with the Chancellor Bethmann-Hollweg were troubled and undercut Falkenhayns plans, Falkenhayn was born in Burg Belchau near Graudenz, West Prussia to Fedor von Falkenhayn and Franziska von Falkenhayn, née von Rosenberg. His brother Arthur became tutor of Crown Prince Wilhelm while Eugen became a Prussian General of Cavalry and his only sister Olga von Falkenhayn was the mother of Fieldmarshall Fedor von Bock. Becoming a cadet at the age of 11, he joined the Army in 1880 and he served as an infantry and staff officer and became a career soldier. Between 1896 and 1903, Falkenhayn served in Qing China on leave for several years and he spent time in Manchuria and Korea. After his service in Asia, the army posted him to Brunswick and Magdeburg, he became a major-general in 1912. In 1913 he became Prussian Minister of War, in which capacity he was involved at the beginning of World War I, when the assassination of Archduke Franz Ferdinand of Austria in Sarajevo took place. Like most German military leaders, he did not expect a great European war but he embraced the idea. Falkenhayn succeeded Helmuth von Moltke the Younger as Chief of the Oberste Heeresleitung after the First Battle of the Marne on 14 September 1914, the British and French eventually stopped the German advance at the First Battle of Ypres. This brought him conflict with Paul von Hindenburg and Erich Ludendorff. 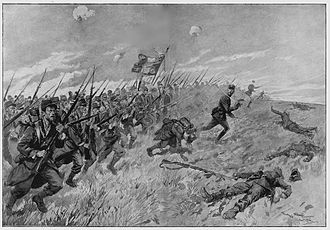 Although more than a quarter of a million soldiers eventually died and Falkenhayn was sometimes called the Blood-Miller of Verdun, contrary to Falkenhayns assumptions, the French were able to limit casualties in the divisions sent to Verdun. Memorial. The inscription reads "Birthplace of Kapitänleutnant Otto Weddigen, our sea hero of 1914". Portrait of Rupprecht as a child by Franz von Lenbach c. 1874. General Sixt von Armin in 1916.